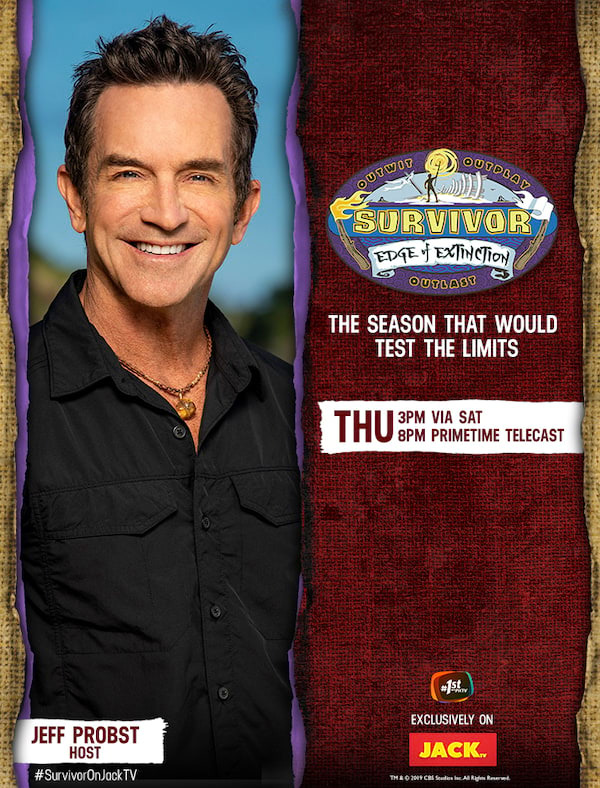 Emmy Award-winning reality competition, Survivor returns for its 38th season this February on JackTV. Themed “Edge of Extinction,” this season features 14 new castaways divided into two equal tribes, the Manu Tribe and the Kama Tribe. With four returning players taking a second shot at the game. The returning castaways are Joe Anglim (“Worlds Apart,” “Second Chance”), Aubry Bracco (“Kaoh Rong,” “Game Changers”), Kelley Wentworth (“Second Chance,” “San Juan del Sur”) and David Wright (“Millennials vs. Gen-X”).